Nadigar Thilagam Sivaji Ganesan is one of the few actors in the country to have donned the role of kings, emperors and warriors a number of times in his classic historical films. 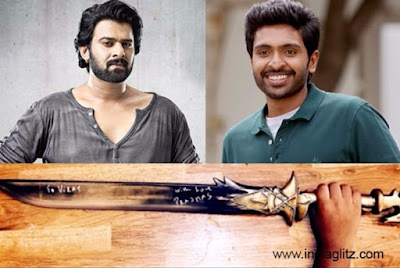 In the new millennium the most influential historical film is 'Baahubali' and Sivaji’s great grandson and Vikram Prabhu's son Virat is an ardent fan of Prabhas. Virat is celebrating his birthday and Prabhas has gifted a replica of the sword that he used in both ‘Baahubali’ and 'Baahubali 2' to him with his name inscribed on the shiny metal. Vikram Prabhu has stated in his social media page "A gift from the sweetest person to one of his youngest sweetest fans. 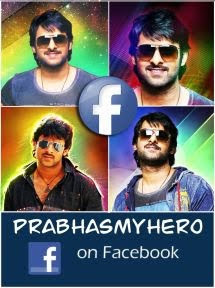 Thanku #Baahubali aka #Prabhas aka #Darling for Virat's Birthday gift. You're awesome!"